What it's like to work in Poland? Career prospects in Poland are looking good. Recent OECD economy surveys show that the country's labour market is booming and market growth was strong in 2018. As popular tourist destinations such as Warsaw, Krakow and Wroclaw are hotspots for graduate employment, there will be plenty to explore on your days off. However, as well as the famous market places and old towns, you won't want to miss Poland's vast selection of forests, lakes and mountains. 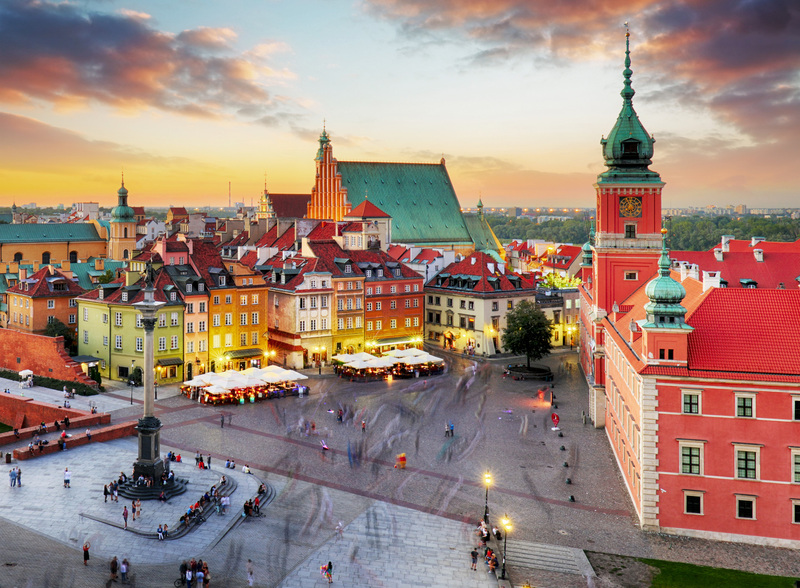 You'll also enjoy a lower cost of living than most European countries, have the chance to learn a new language and, thanks to Poland's central location, experience the mix of the western and eastern European cultures. While Poland has the largest economy in central Europe, its recent growth has slowed and the costly welfare system hasn't helped. However, according to unemployment in the country has dropped to 3.8% - below the European Union (EU) average. There are plenty of jobs available for foreigners who are considering Poland as a work destination - in fact, it's become one of the largest business process outsourcing/shared services centres (BPO/SSCs) in Europe. Although the majority of the country's workforce is in the services sector, other industries include beverages, chemicals, coal mining, food processing, iron and steel, glass, machine building, shipbuilding and textiles. For a helpful guide to the Polish labour market and multinational companies based in Poland, see the . To learn about the business services sector in particular, read the Business Services Sector in Poland 2018 report, by the Association of Business Service Leaders (ABSL), which you can download from . In addition to large businesses with a presence in Poland, the country is home to some successful start-ups - for example, LiveChat, Brand24, Estimote and Brainly. IT - cyber security experts, network administrators, technical support. Most workers apply for jobs from their home country, typically through a jobs portal. Alternatively, you could find work through a multinational company with offices in Poland. As well as private recruitment agencies, those arriving from EU member states or the European Economic Area (EEA) can make use of the services provided by for help with getting a job. An easy way to job hunt from home is to use social media to search for opportunities - jobs are advertised on , Poland's LinkedIn equivalent. The is another place for jobseekers to find work in Poland. Similar to the UK, if you'd like to work for a particular organisation, you could send them a speculative application directly using a CV and cover letter. However, the majority of employers expect applications to be written in the Polish language, unless it's stated that English is acceptable. I hereby give consent for my personal data included in my application to be processed for the purposes of the recruitment process under the Personal Data Protection Act as of 29 August 1997, consolidated text: Journal of Laws 2015, item 2135 as amended. Should you be invited for an interview, if you're from a non-EU country it's important to check whether you'll first need a visa from your local Polish embassy before booking your travel. During the busy summer season, you'll be able to find casual work in hotels, restaurants and bars - as well as at large companies. Check the job sites above for vacancies with the latter, apply speculatively or, if you're already in the country, enquire in person. An alternative way of improving your employability is to volunteer. The is a programme funded by the European Commission, which gives 17 to 30-year-olds the opportunity to volunteer for between two weeks and 12 months in a number of countries, including Poland. This is a great way to gain experience and learn a new language. Full-time placements may involve a range of activities, with projects available in social care, environmental protection, cultural activities and youth work. Travel, accommodation, food and insurance are covered by a European grant for successful applicants, while you may also be eligible to receive a spending allowance. Since joining the EU in 2004, the demand for Polish workers to grasp the EU's international business language is more important than ever. Teaching English as a foreign language is therefore one of the most accessible jobs for native English speakers living in Poland. Teaching positions are available in a range of settings, such as state schools, private language schools, language camps or as a private tutor. You'll need a good Bachelors degree and a teaching license to be considered for these roles, which typically last for one year. They're usually advertised in January and the summer months (June to August). Securing an internship could give your CV a boost while gaining valuable work experience and allowing you to sample life in another country. With this experience, you'll be a favourable candidate when looking for graduate jobs. A number of global businesses have a presence in Poland. You can visit individual websites to find opportunities, or try the speculative approach and companies directly to enquire. It's not unheard of for internships in Poland to be offered with paid-for accommodation as compensation, rather than a full salary. 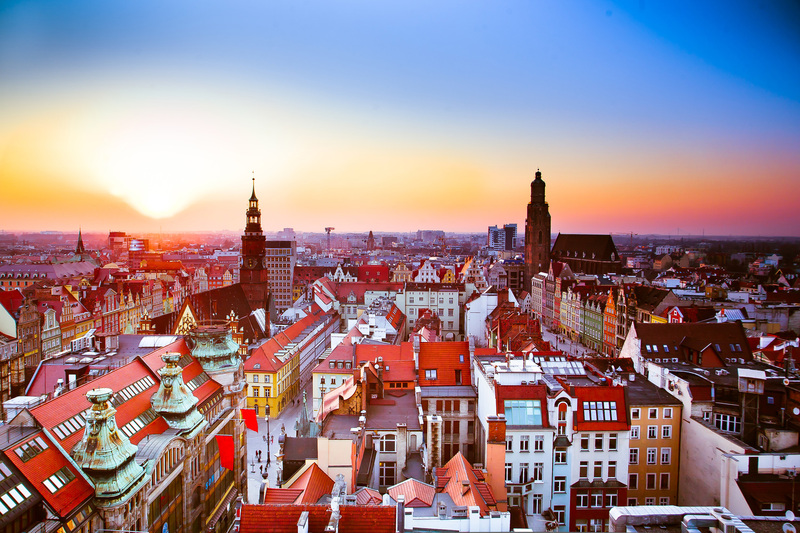 Paid positions are likely to offer close to the Polish minimum wage, which is 2,100ZL (£430). Visit and to see what's currently available. If you're a citizen of the European Union (EU), you can move to Poland and begin your hunt for work immediately, without the need for a work permit. However, as you'll likely be working for more than three months, you'll need to obtain a temporary residence permit, which lasts for up to three years. This can be arranged at your nearest Voivodeship Office. EU nationals may also be entitled to have certain types of health and social security coverage transferred to the country in which they go to seek work. For country-specific information, see the . For the most up-to-date visa information relating to UK nationals, see the . In order to qualify for a work permit, non-EU workers will usually need an official employment offer from a Polish company. As Polish is the country's national language and spoken by the majority of the population, proficiency is likely to be a pre-requisite for many jobs. However, the country has one of the highest rates of English as a second language in the world, particularly with younger generations. There are plenty of English-speaking opportunities in the business world. Not understanding Polish can be a barrier to communication, especially with the older generation, so aim to have at least some understanding before you arrive. Polish language courses are held across the UK, while many websites exist to help you learn a language or improve your skills. Pick up basic words and phrases at and . Poland is a member of the Bologna process and part of the European Higher Education Area (EHEA), so you should find that your UK qualifications are comparable to their Polish equivalent, and will therefore be fully recognised by employers. For further details on comparisons with Polish qualifications, see . However, if it's necessary to get your qualifications evaluated - for example, to work in a regulated profession in Poland - you can search the . Annual leave in Polish companies typically stands at 20 days per year. While regular office hours are typically 8am-4pm, working past 5pm is sometimes expected. In some roles, you may also have to work 8am-2pm on Saturdays. While hierarchal structures in businesses still exist, the authoritarian corporate culture is beginning to give way to a more open dialogue between managers and staff. Poles are usually very open, friendly and tolerant, but smart business dress is the norm and meetings can be formal, direct and professional, and punctuality is taken very seriously. In the office, be prepared to address people by their professional title and family name rather than their first name - and avoid shaking hands in a doorway, as locals might consider this to bring bad luck. According to , the cost of living in Poland is 40% lower than in the UK - rent is also cheaper on average, by around 50% - although wages are typically lower too. As of November 2018, the average net monthly salary after tax is 3,255ZL (£670). Social media is a great tool for finding like-minded people when moving to a new country - groups such as and will help you settle in. Discover what it's like to study in Poland. Get useful advice for your job hunt and view the latest roles at .